The high performance racing boards are shaped on a hi tech surfboard CNC shaping machine to ensure a perfectly symmetrical design. The boards are cut from a polystyrene core and glassed using Epoxy Resin. The kneewell can be designed to fit a paddlers needs and a soap dish placed on either rail as required. All boards are fitted with four neoprene handles, knee pads, a fin box and removeable fin as standard. Artwork can either be sprayed or added as sign written vinyls, prior to fitting the handles and knee pads. 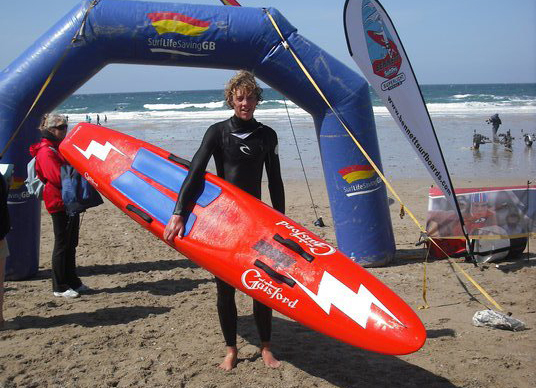 The boards are strong but light, minimum weight is 7.6kg including the fin. These paddleboards are primarily used for racing in Ocean Events such as the Ironman and Ironwoman events. These boards conform to current ILS specifications. 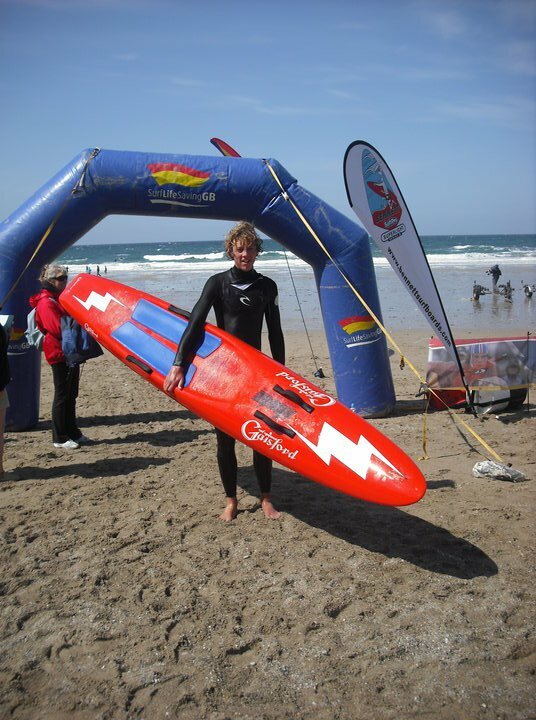 To order a racing paddleboard complete our Board Order Form.